You’ve made the decision to sell, your house is on the market and it’s time to stage your home. Someone else will soon walk down that grand staircase you always loved, and maybe the garden in the backyard will be home to vegetables instead of flowers. That spot in the living room where the sun hits just right? Maybe the new owners will love it just as much as you did. But before you move on from the place you’ve called home, someone else has to fall in love with it first. And getting them to love it is not always an easy task. 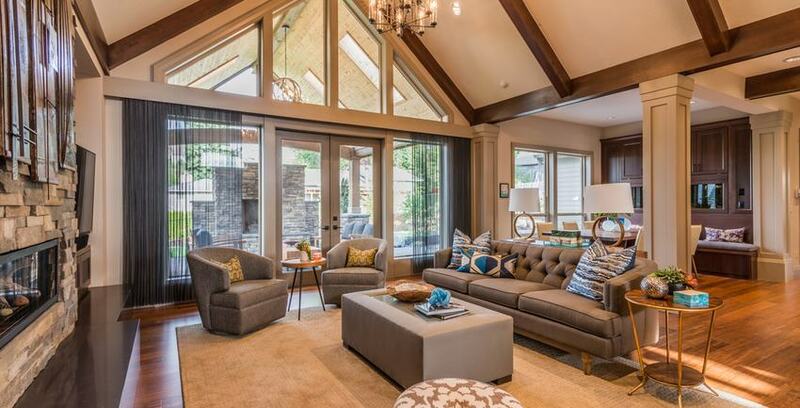 If you’ve given any thought to staging your home, your home is probably already on the market. As you navigate through the process, be sure you have a good agent. This person will keep tabs on potential buyers and make sure your home gets in front of the right people to sell. Ah, the step you’ve been dreading. When potential buyers are strolling through your home, their eyes shouldn’t be drawn to the laundry on the floor or the piles of papers on the coffee table. Clutter makes it difficult for other people to picture themselves in your home. If you’re feeling ambitious, pack up all the non-essential items in your home. This quick step will open up your space and make it more attractive to buyers. Don’t go overboard – your home should still look lived in. Those dead plants in the front yard aren’t going to trigger any positive reactions. Your front yard is the first thing many people see when they enter your property, and their initial judgments will affect how they view your entire home. Spend an hour cleaning up your yard, planting a few flowers and washing the windows. Those tasks could make or break a sale. Plus, some time outside never hurt anyone. No matter how many times you told yourself you’d fix that leaky faucet or the squeaky door handle, it still hasn’t been done. These small fixes may not seem like much to you, but potential buyers aren’t going to be so keen on tackling a bunch of little fixes. Don’t let the simple things keep you from attracting new owners. If you’re looking for a place to store things during your move, Storage Direct can help. We offer safe, secure facilities that feature a variety of storage options. From climate-controlled storage to a place to put your RV, Storage Direct has what you’re looking for as you’re staging your home. Contact us today to find a location near you!